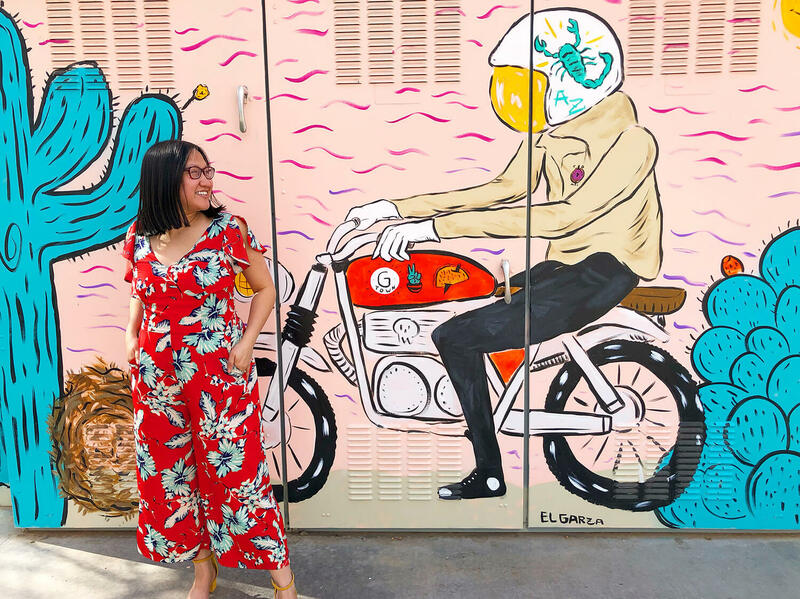 It’s become my travel mission to find and photograph Instagrammable Walls whenever I go. 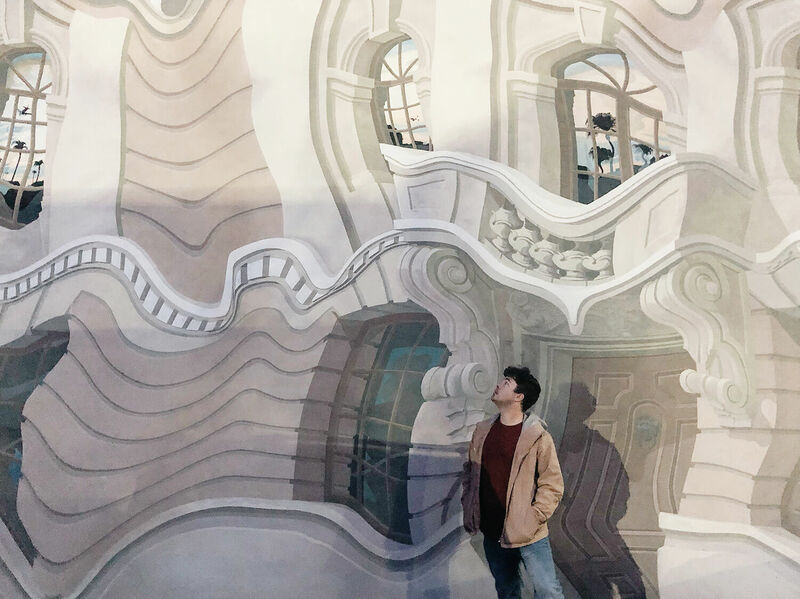 The walls (mural walls, colourful walls, texture walls) are often so unique to each city, such a great way to explore, and of course provide pretty great photo fodder for your Instagram! 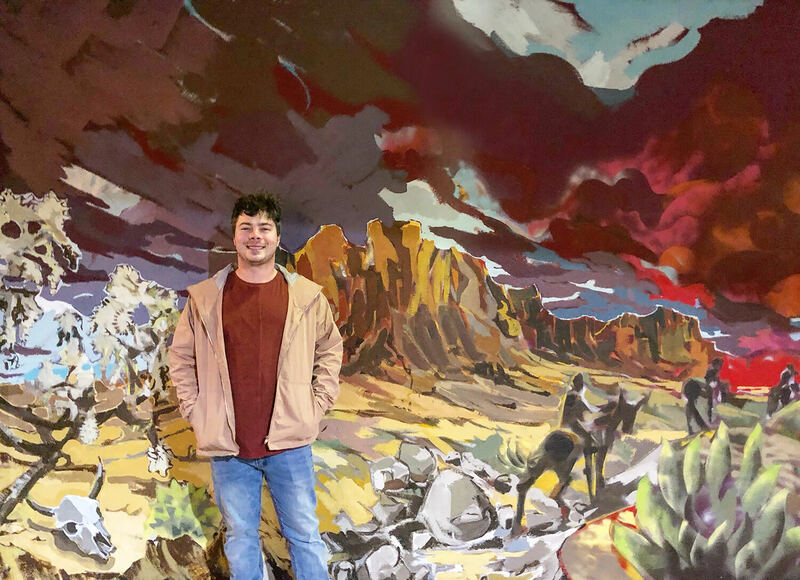 I’ve been cataloguing these Instagrammable Walls here on my blog and am excited for this latest edition featuring walls of Mesa, Arizona. 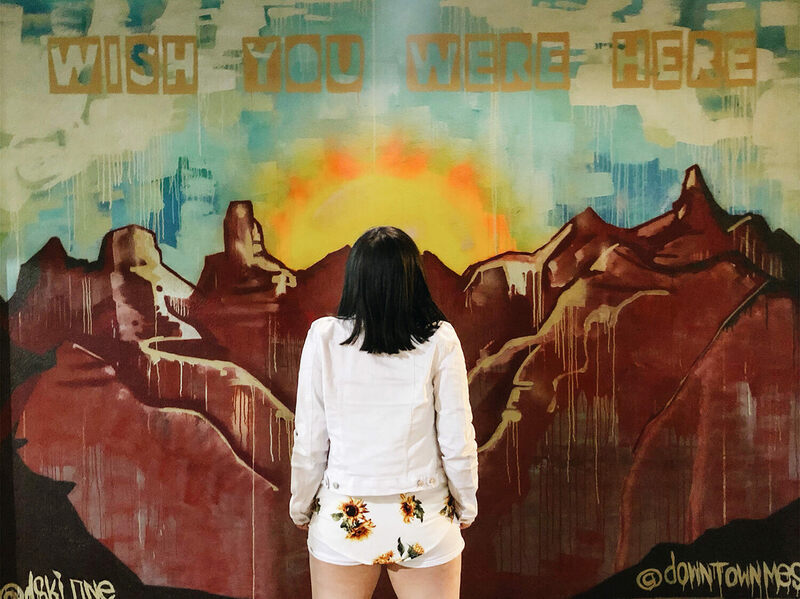 On my recent visit to Mesa, Arizona (a sponsored tourism weekend courtesy of Flair Airlines and Visit Mesa), I came across many Instagrammable Walls I’m happy to share with you below! 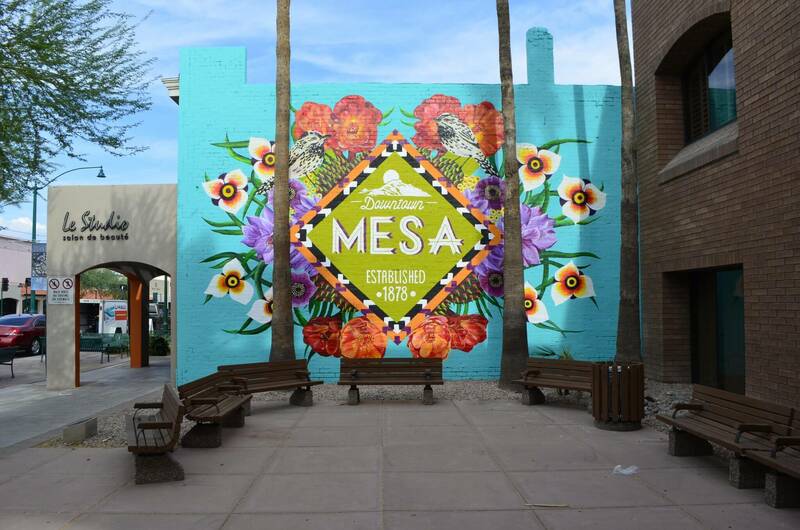 Mesa, Arizona is the third largest city in Arizona, and a gateway to an exciting and diverse region of mountains, desert, urban and rural experiences. 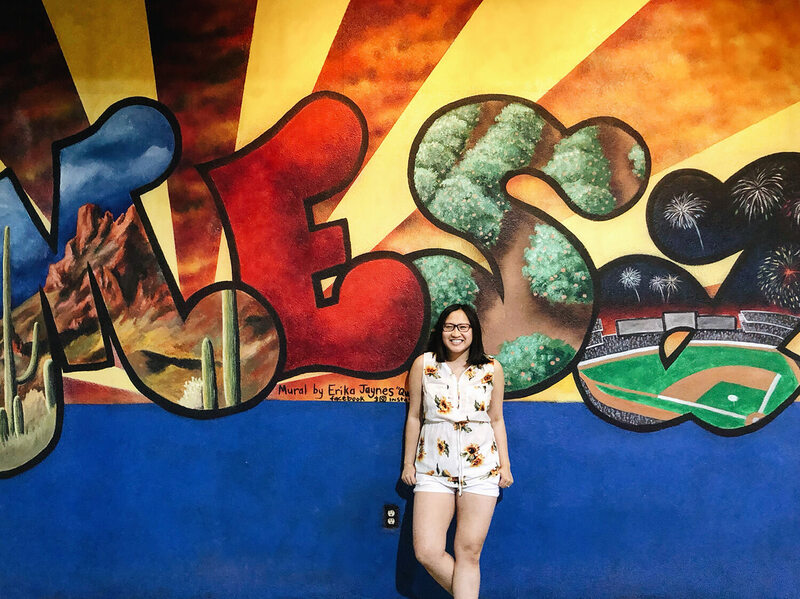 I’ll write more about my travel experiences to Mesa in some upcoming blog posts, but first wanted to capture some of the area’s Instagrammable Walls! (including walls in Mesa and Gilbert). Note: Most of the poorer quality photos (we did most of our wall huntin’ at night after the sun set unfortunately) look / photograph much nicer during the daylight! 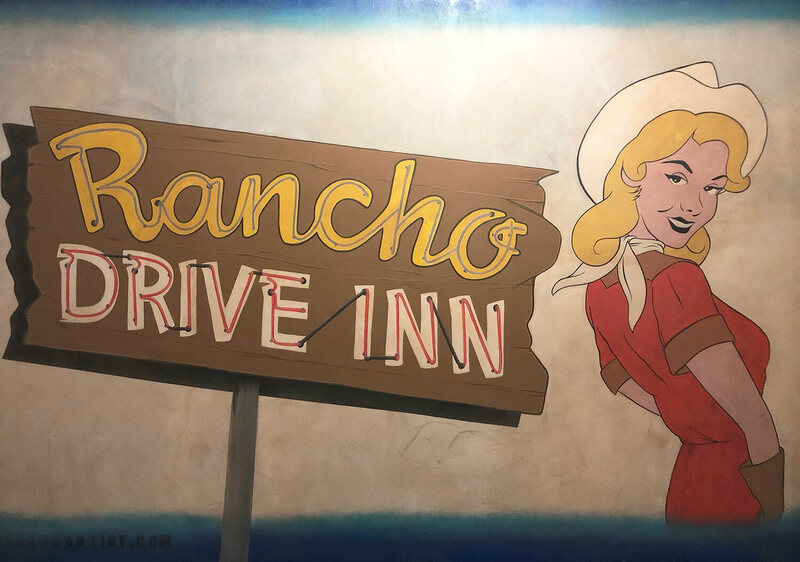 I also *know* there are more walls, but the itinerary was pretty packed (be sure to check out my other Arizona travel blog posts!) 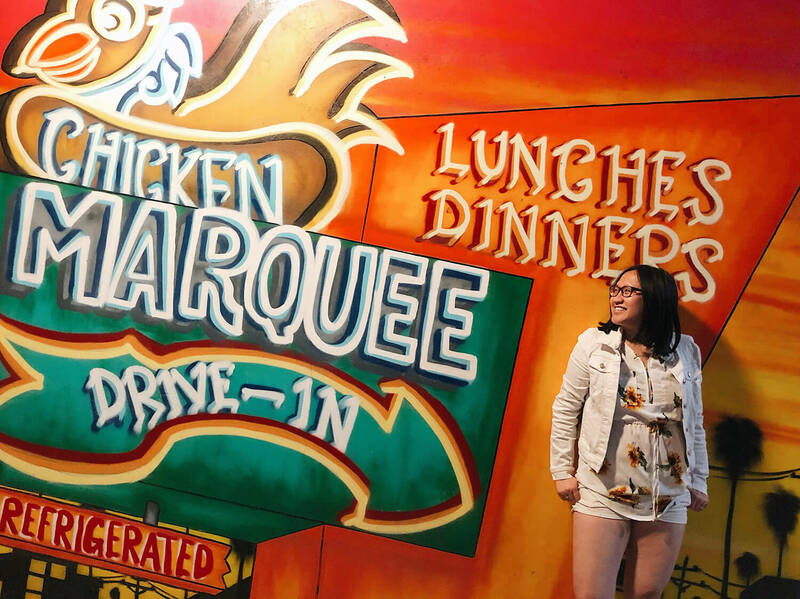 so there wasn’t as much free time for wall photography as I usually try to squeeze in, lol. 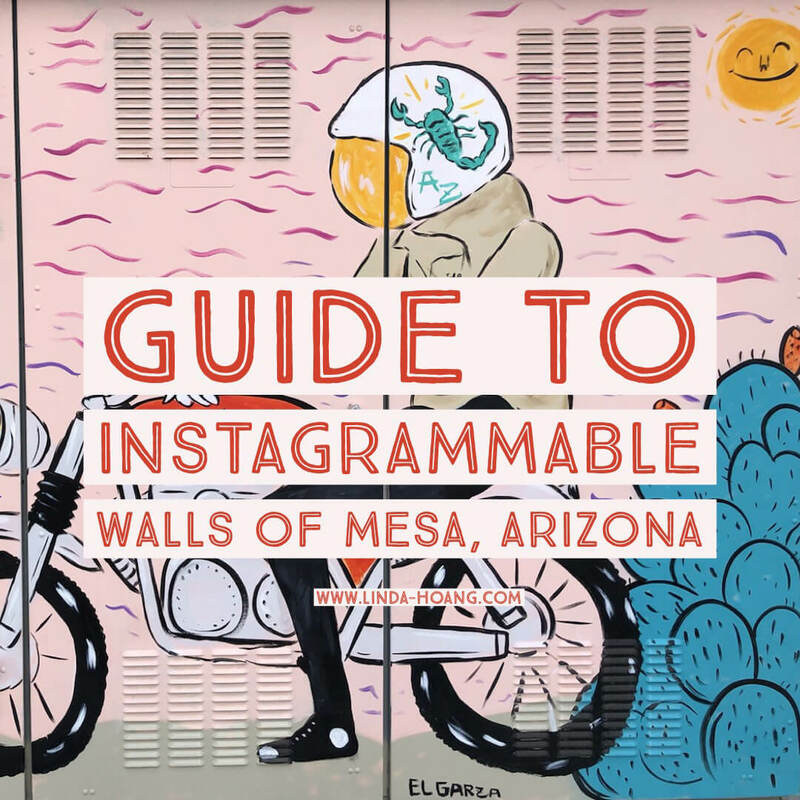 If you come across more Instagrammable Walls of Mesa, be sure to share it on Instagram using #IGWallsofAZ or shoot me a message to add the wall to this guide! I’ve heard there’s a ton of walls in Phoenix as well so we can’t wait to get back to the Valley of the Sun to visit those ones too! 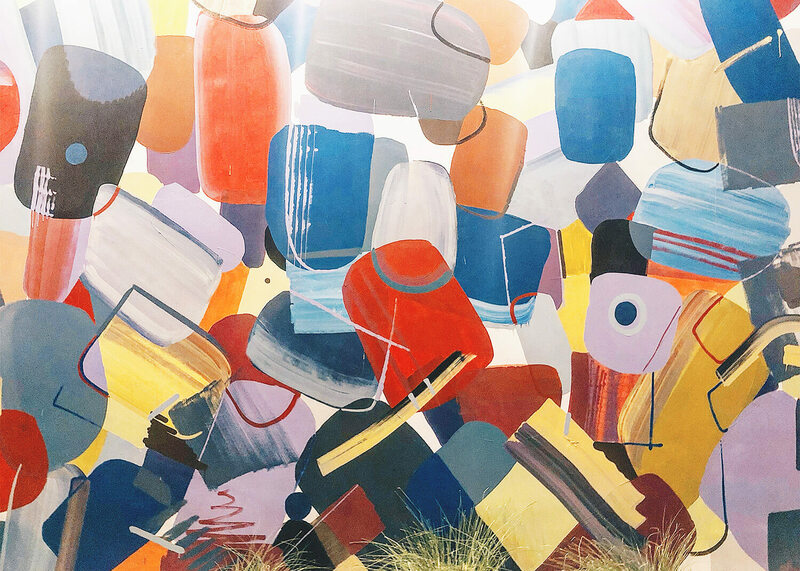 Pin + share my Guide to Instagrammable Walls of Mesa, Arizona! Warped Balcony Wall at The Factory Health & Performance 7312, 220 W Main St, Mesa, AZ. Purple Wall at Mesa Arts Center 1 E Main St, Mesa, AZ. 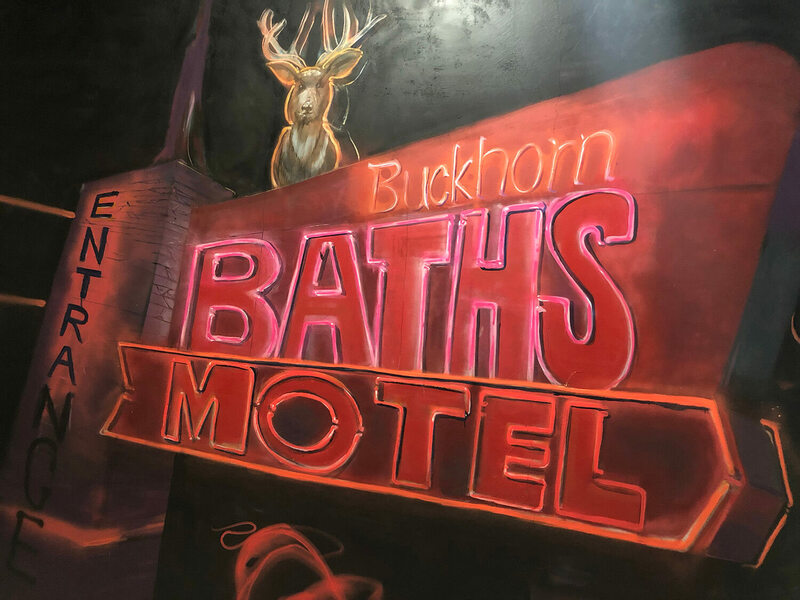 One of various murals on the side of the Artists Studio Gallery in Downtown Mesa 101 W Main St, Mesa, AZ. Various Murals at Surf & Ski in Downtown Mesa 137 W Main St, Mesa, AZ. Colourful Splotches Wall at Zinburger (344 N Gilbert Rd, Gilbert, AZ). 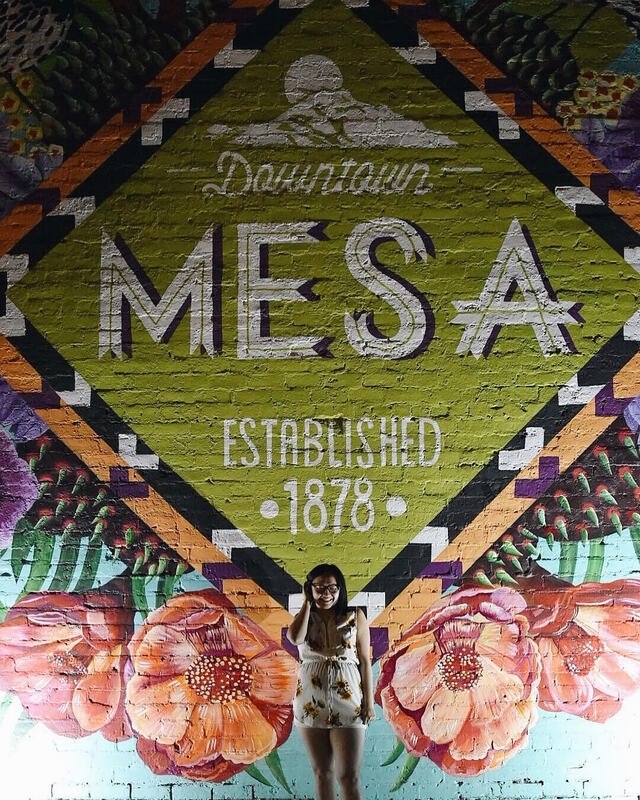 Note: there are also some colourful pillars all along Downtown Mesa (Main Street). Some pillars are too thin to do a wide shot but you could do some close-ups with colourful backdrops on those pillar walls! 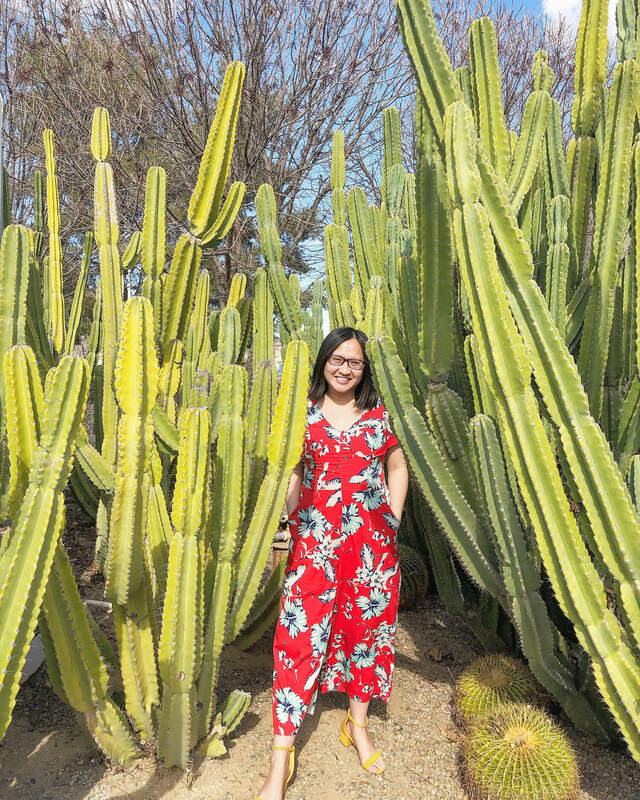 This isn’t a “wall” per se but you could certainly find cacti that could form a nice “wall” backdrop for your photos! Cactus ‘Wall’ at Agritopia 3000 E Ray Rd, Gilbert, AZ. You got to the end! That’s all the walls I was able to capture during my short visit to Mesa, Arizona—lots but I’m sure lots more to be catalogued. As I said, if I’m missing a wall, please let me know! 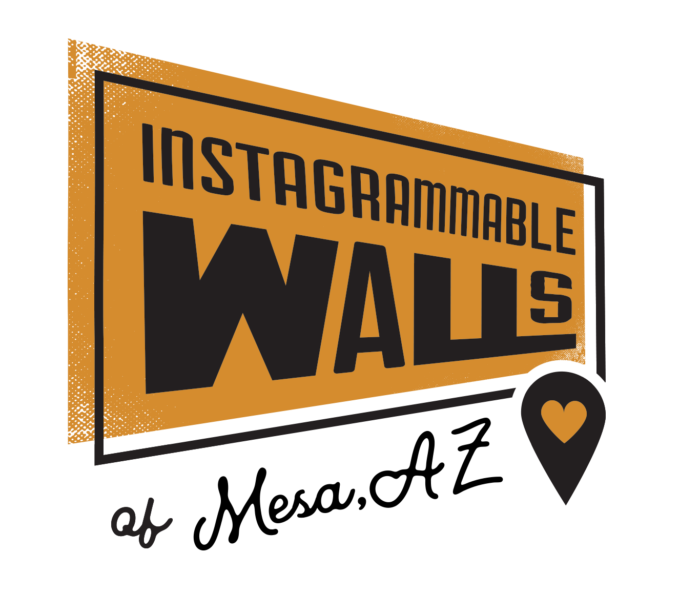 Be sure to email, tweet @lindork, message me on Instagram @lindork, or share Mesa Arizona wall locations/photos on Instagram using #IGWallsofAZ to get them added to this guide! 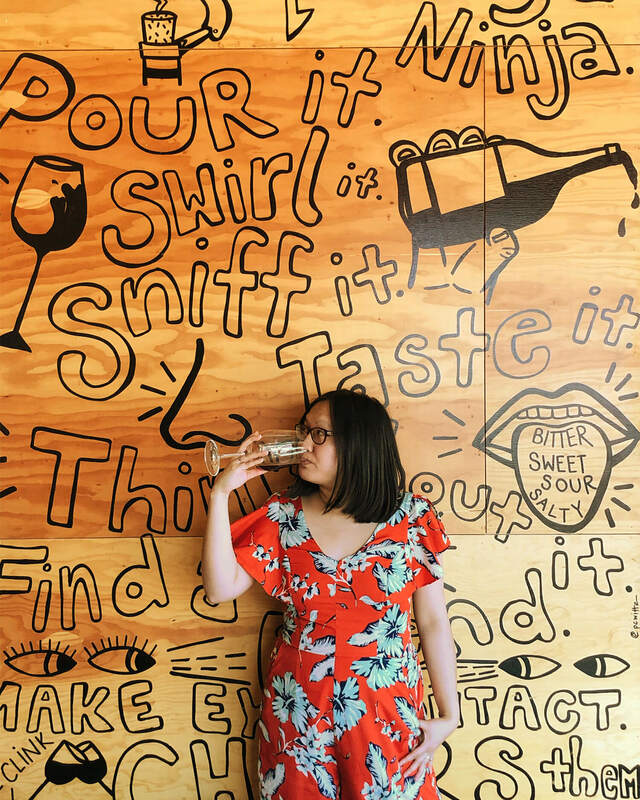 And check out my other blog posts for travel tips + inspo for your visit to Mesa, Arizona! Disclaimer: I traveled to Mesa, Arizona on a sponsored tourism trip courtesy of Flair Airlines and Visit Mesa. This does not impact the opinions stated in this post. 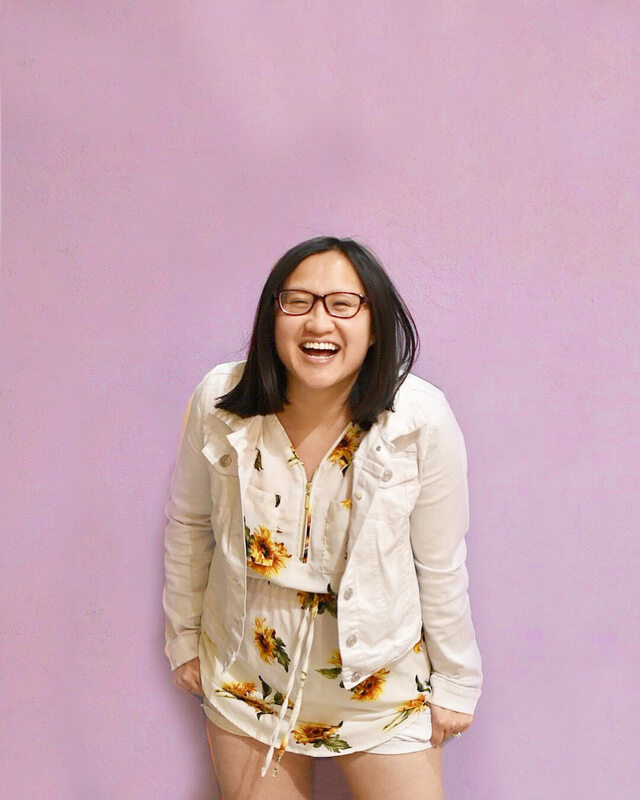 Clearly, I love Instagrammable Walls! !